I think that, with the beautiful construction of the verse, rhyme, and sentiment, Robert Frost was surely a genius. Or at least that this particular work of art was a work of genius. And that was before I read an interpretation that shattered what I believed this poem was about. The central message of the poem is about being true to yourself, and living your life as you would choose, and not necessarily following in the footsteps of others. Go your own way. Choose the way less traveled by. It will make all the difference. Now that sentiment, clearly, is pretty awesome. It sends tingles up the spine … it is empowering and energizing while also being fraught with mystery and provoking apprehension. It is inspirational; it beckons us to be who we are, who we can really become. But that’s not what the poem’s about. And both that morning equally lay / In leaves no step had trodden black. So, while there was a choice to be made regarding which path to take, there really was no readily apparent difference between them. So how can he say he took the road less traveled by and “that has made all the difference”? I shall be telling this with a sigh / Somewhere ages and ages hence. This is far from being about self-actualization and appreciating the immense satisfaction and reward of going our own way. It is about our propensity to rationalize. You might feel right now like rejecting that interpretation out of hand. It is shocking; it shocked me. But I think it is spot on. The speaker anticipates his own future insincerity—his need, later on in life, to rearrange the facts and inject a dose of Lone Ranger into the account. He knows that he will be inaccurate, at best, or hypocritical, at worst, when he holds his life up as an example. The speaker will not, in his old age, merely gather the youth about him and say, “Do what I did, kiddies. I stuck to my guns, took the road less traveled by, and that has made all the difference.” Rather, he may say this, but he will sigh first; for he won’t believe it himself. Somewhere in the back of his mind will remain the image of yellow woods and two equally leafy paths. Yowsa. Are you kidding me? That is brilliant. Genius. And you think just a wee bit relevant for you and me? Because it’s not really about the specialness of the road we took. It’s also not about the road we didn’t take! It’s like we have to feel good about ourselves; so our life-choices, whatever they were and however we chose and whatever the result, must be re scripted in terms that project that we were in control, that we had full knowledge and that we made great choices and that we are responsible and isn’t that a wonderful thing. 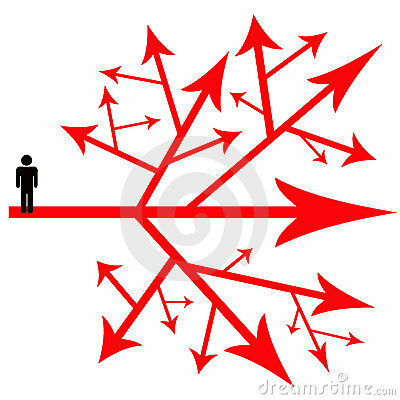 But here’s the real deal: We can’t possibly know which path is our path before we choose it. Your path is the one you choose. Simple as that. And way leads on to way. By choosing a path, you make it your own. My commentary draws from an interpretation here. “…Oh, I kept the first for another day! I see far less rationalization or justification of a choice made, much more a lament that he could choose but one path. Way leads on to way, he’ll never return to the first road, never know where the way of the first road led. 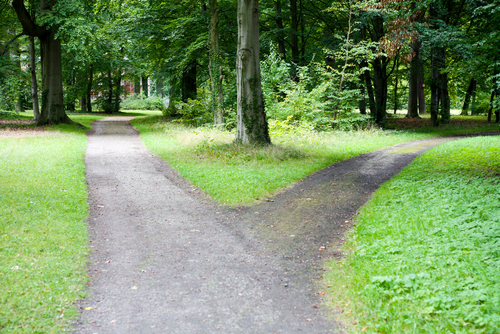 Two roads diverged in a wood, and I / I took the one less traveled by, and that has made all the difference. I am with you with the lament of choosing but one path. In fact, the genius here is that he knew the lament would be too much; he was predicting he would rationalize and romanticize! The poem with my current interpretation is now bittersweet for me — I want to hang on to the concept of taking the path less traveled, but the deeper story of rewriting history to serve our ego is sooooo compelling! to my Google account. – Link building service. I don’t wish to diminish what it is without doubt one of the most clever and alluring poems ever written, but there is an important point to be made here. As emotive, sentient beings, we have a tendency to interpret cryptic signs and messages in ways that provide suitable explanations in keeping with our own personal view of the world. And what’s wrong with that? Nothing.